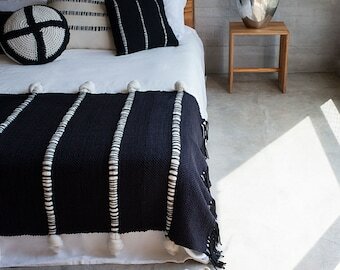 Hand woven Uruguayan blanket rug with really beautiful geometric combination and tribal design. 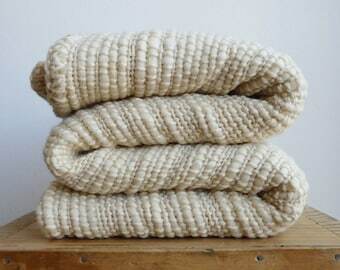 The textured handmade textile art all made of natural undyed sheep wool yarn in tones of ivory, gray and beige can be used as a blanket, rug or a wall hanging. 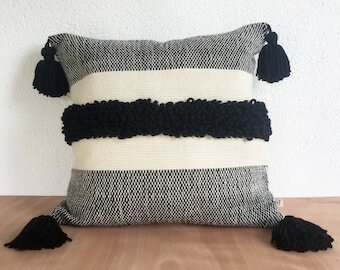 With this piece of decoration planet friendly, you can be sure that it is handcraft from 100% Uruguayan sheep wool which is one of the most natural, organic and softest in the world. 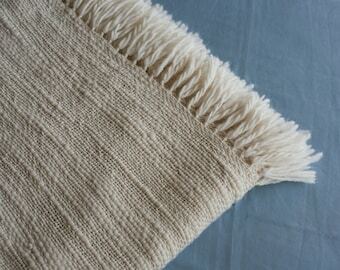 Texturable was selected to integrate the country brand: Uruguay Natural. 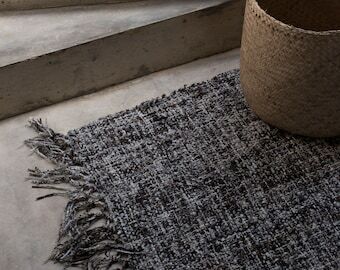 Whether your personal style is modern, rustic, boho, or traditional the native american design of this blanket rug is the best sustainable accent furnishing addition to your home decor. 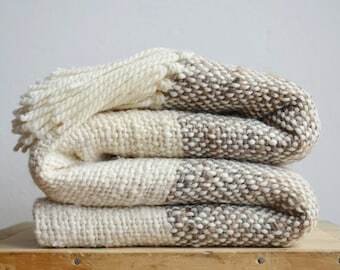 Natural gray and beige wool. Please give me 3 business days to ship your item!